Valentine’s day is right around the corner and couples throughout the country are looking for the right gifts to honor their relationships with their loved ones. If you are looking for a gift for your boyfriend, here’s a list that could help you find the perfect one for him. If your boyfriend loves to drive around, or has to do a lot of it as part of his job, this would be the perfect gift for him. 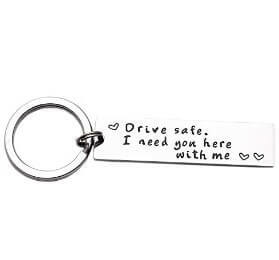 Made of stainless steel, the words engraved on the metal will effectively convey your love and hope for his safety at the same time. If you and your boyfriend still hanker for the days when lovers made mixtapes for their partners to show each other their love, this will send you both right back. 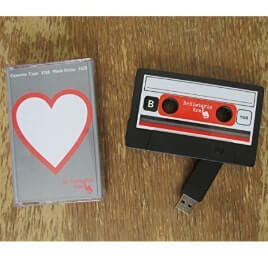 This flash drive that’s designed to look like an old-time cassette tape (with 1 GB of storage) is a modern twist on a tried-and-tested Valentine’s Day present. Here’s something for those of you with absent-minded boyfriends. 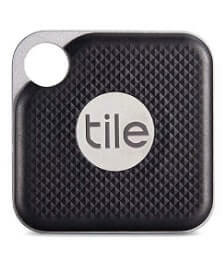 Tile Pro allows you to attach to things that are easy to lose, like keys, a wallet or a phone. The Tile app gives you the location of your items at all times, and makes your phone ring even when it’s on silent mode. 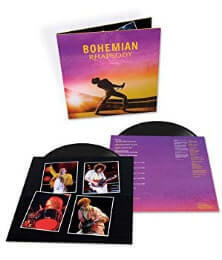 The new biopic of the legendary band Queen took theaters by storm in the month of October last year. If your boyfriend or you were among the scores of people who stormed theaters to get a feel of the band performing live through the actors who once more brought them to life, this vinyl will be an experience worth buying. After all, we all know that everything sounds better in vinyl. When it comes to boyfriends, you can rarely go wrong with cologne. This particular scent, known for its spicy and yet slightly floral tones, can last for roughly five hours. It’s a great buy that will add a touch of sophistication to your boyfriend’s wardrobe and let him live up the impression he makes during social events. First of all, the idea of a wireless charger, besides giving a neater wireless look, is quite cool. 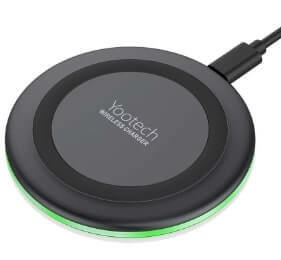 The Yootech charger is compatible with iPhones, most models of Galaxy as well as other Qi-enabled models. With a maximum of four hours to get your phone charged from zero to full charge, the charger also comes with a light that turns itself off after sixteen seconds so your sleep isn’t disturbed when you charge your phone at night. Your meticulous and organized boyfriend will love getting this present. With several pockets so he can organize his cash and anything else he may want to keep, along with four pockets, this wallet is made of 100% leather and is slim enough to fit snugly into the pocket. 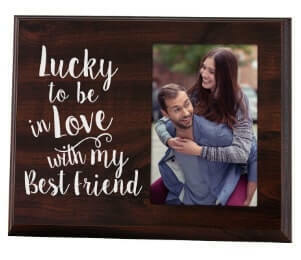 Pick out a picture of yourself with your long-term boyfriend that brings back an extremely heartwarming memory, and put it into this frame to show him exactly how much he means to you. The frame can be propped up on a table or hung up on the wall. 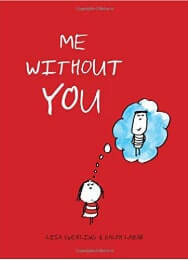 A book full of adorable illustrations by two eminent illustrators, Me Without you is a unique way of telling your man that you’re complete together. Each page has a three-word sentence on it with a corresponding image, to portray your feelings in a funny and heartwarming manner. Here’s an adorable take on the classic message-in-a-bottle concept: a bottle filled with messages inside capsules. The glass bottle comes with 90 tiny capsules that contain an empty piece of paper inside for you to write anything you may want to. All you have to do is figure out 90 different ways to tell your boyfriend that you love him. 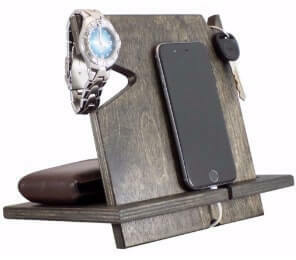 This convenient block of wood has grooves in the wood to allow a charging cable to fit through while the phone is in its place, as well as some to hang a watch and keys, and the stand at the back doubles as a space to keep a wallet. It’s another easy way to help your boyfriend stay organized. Get your man something that keeps him warm and lets him listen to his music at the same time. 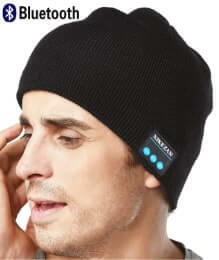 XIKEZAN’s bluetooth headphones built into a beanie lets you do more than just listen to music, it also accepts phone calls, syncs with other bluetooth devices within seconds and has a range of up to 33 feet. Sometimes, all you need to convey your love to your boyfriend is a few words. 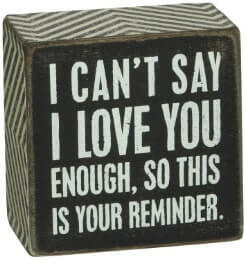 Give him this box sign for him to keep wherever he wants to, so that he doesn’t forget your words to him. The sign can stand on its own, but has a mechanism to let you hang it on the wall as well. If your boyfriend is big on going to places like music concerts, festivals, sporting events or any other big events happening around him, give him the opportunity to store evidence of his attendance. 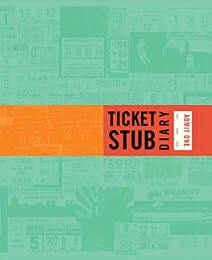 This diary has sleeves that can fit tickets of any size, and the acid free pages help keep the tickets preserved for a long time. This one is for those of you who are looking to spend quite a lot on your boyfriends, but it is definitely worth it. 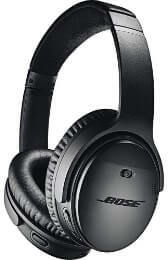 These headphones offer the ultimate noise cancellation both for listening as well as speaking and the sound quality is superior. And the best part – it’s got Alexa built in. 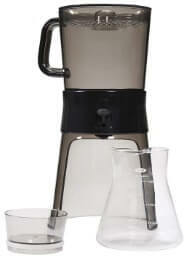 Your coffee loving boyfriend will fall in love with you a little more when you show him this coffee maker. It can brew up to 32 ounces of coffee at a time, and allows you to store the coffee in the refrigerator for use whenever it is needed. 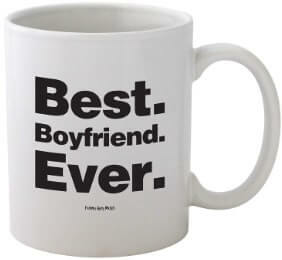 And don’t worry if your boyfriend is more of a tea drinker; it brews and allows you to store tea as well. This is a great gift for boyfriends with a love for the outdoors. This handy camping tool makes lighting a campfire easier than ever before. Made of recycled paper and non-toxic soy wax, it is perfectly suitable for roasting campfire snacks like marshmallows and hotdogs. 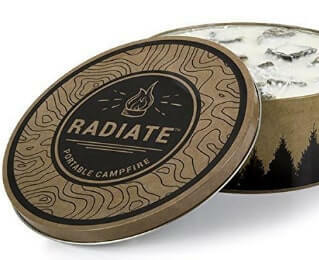 It comes in a tin can that can be carried around with ease, and is easy to light and put out as well. 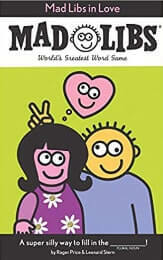 This adorably funny book can be used to spend a little bit of quality time with your boyfriend. Take turns to give the other words to fill into the blanks given in the stories and then read the stories out loud for a good laugh. A sense of humor never went amiss in a relationship. 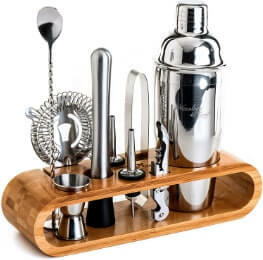 Whether your boyfriend has a secret ambition to mix drinks at a bustling pub or simply likes the occasional cocktail, this present will allow him to explore that interest a little more. These tough and rust-proof tools look great displayed in the kitchen and can be washed in the dishwasher safely, so there’s no worry of wear and tear over time. If your boyfriend absolutely loves dogs, and specifically labrador retrievers, this might be a great gift for him. 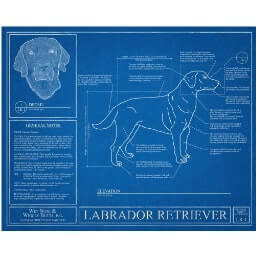 This poster is a detailed blueprint of the anatomy, history and fast facts of the labrador retriever, and is so nerdily written that it is difficult to not love. There’s a fifty percent chance that your boyfriend is totally crazy about hot sauces; if that is the case, then look no further than this. 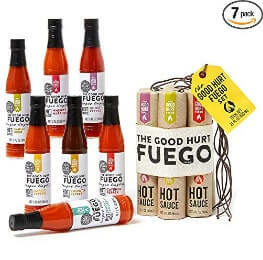 This sampler pack of seven different flavors of hot sauces ranges from a mildly spiced garlic pepper, to a blazing hot ghost pepper (use at your own risk!) and is a sensory experience that your hot sauce-loving boyfriend will love. Every guitar player has lost a guitar pick at some point or the other in their life. This thoughtful gift will ensure that your boyfriend doesn’t lose his for a very long time. 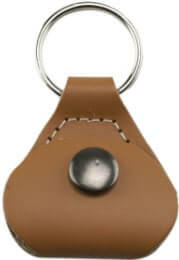 The keychain is a small leather pouch that is designed to hold a guitar pick, and snaps shut so there’s little chance of the pick falling out. Those records lying around in your boyfriend’s wardrobe need to be brought out into the world to have their beauty displayed. 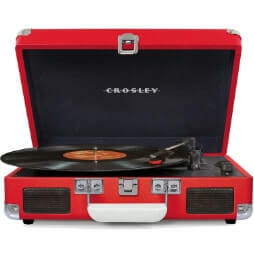 Give him the opportunity to let them shine by giving him this record player, that also doubles as a bluetooth speaker if you ever want to play music from your phone instead. This one doubles as a gift as well as a challenge, if your boyfriend is up for it. 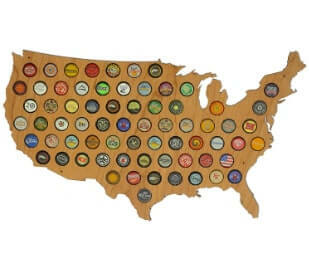 Made of wood and shaped like the USA, it has space for 69 beer caps (one for each state plus nineteen more in case there’s more than one kind of beer to try in a state) and comes with mounting nails in case your boyfriend wants to showcase his beer-drinking progress to those who come to visit. Whether your man is a yoga person or needs to focus on his mental health, show your support and appreciation for him with this meditation cushion. 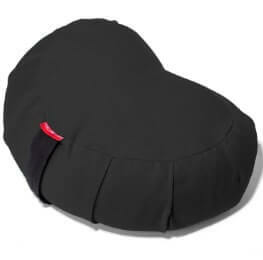 It’s perfect for a number of yoga poses, supports your spine to reduce wear and tear, and it comes in six different colors, so you can pick the one he likes best. Here’s something else for the lover of the outdoors; this hand warmer is a handy tool to have everywhere your boyfriend goes that’s cold. It’s small enough to fit into a pocket, but not too small to warm his hand when he needs it. 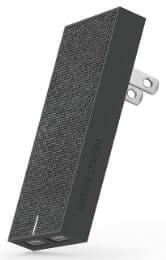 It produces constant warmth for up to 12 hours and is easy to refill. This is arguably the best item on this list. 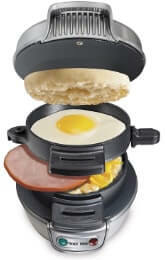 If your boyfriend is basically useless in the kitchen and manages to mess up even simple items, this sandwich maker will let him have a nice breakfast sandwich without burning down the house. The package comes with easy recipes for him to start off with, which can help him expand his horizons later on. 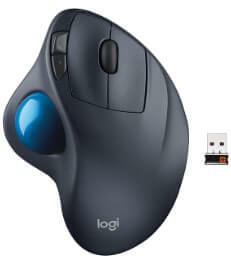 Ergonomics is the new cool thing out there. Surprise your boyfriend with this mouse to let him know that you have his back when it comes to his endless scrolling on the internet, and that you care about his wrist too. Do you and your boyfriend share a love for the Disney movie Up as well as a love for traveling and adventure like Carl and Ellie from the movie? 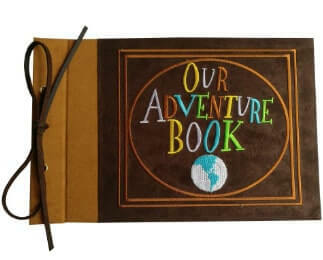 Use this book to store memories of your trips around the world. 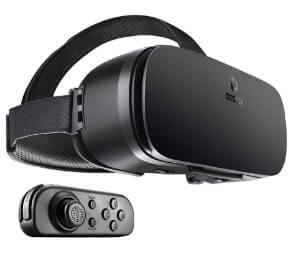 Give your boyfriend the opportunity to get in on the VR action with this headset that is compatible with nearly every phone on the market. He’ll appreciate the unique gaming experience that is all the rage with gamers today. Many of us go through earphones like we do bottles of water, and your boyfriend may be one of them. 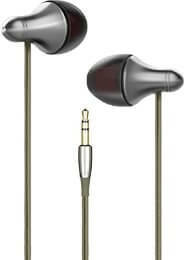 Gift him these titanium earphones that are built to withstand wear and tear from rough usage, and last a long time. They even come with tangle free wires. 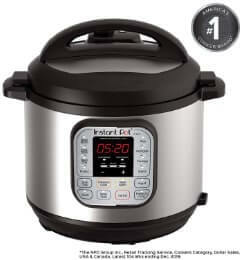 Here’s another easy cooking appliance for the culinarily challenged; this six quart cooker has several smart options for common food items that can be cooked in it, and is very easy to get used to within no time. 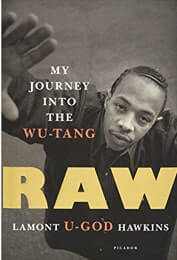 This book, written by Lamont Hawkins (better known by his stage name U-God), is a gripping read that explores the life he lived before and during his involvement with the legendary Wu Tang Clan. It’s a great book for someone with even a passing interest in rap. 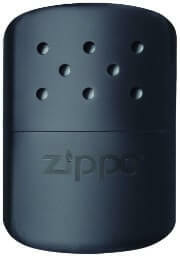 Get your boyfriend a small, lightweight charger that is easy to carry around, whether in daily life or while traveling. The charger contains two charging ports, so you can charge two devices at a time. If your boyfriend’s the kind of guy who travels often, this travel bag will be a blessing for him. 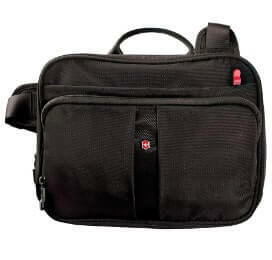 With enough pockets to fit all the essentials he’ll ever need on the road as well as an adjustable strap that lets him wear it any way he likes, the bag is a convenient gift even for trips that require quick packing. 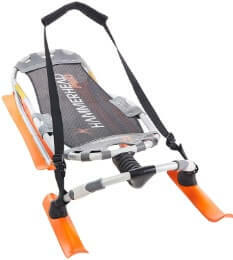 Contrary to popular belief, sledding down snowy slopes is not just an activity for children. Let your boyfriend relive his childhood memories with this stainless steel contraption that is built for adult use, with a patented steering system that is sure to enhance the experience. This might sound like a crazy idea at first, but there is truly something about wanting to keep your significant other warm in the winter. 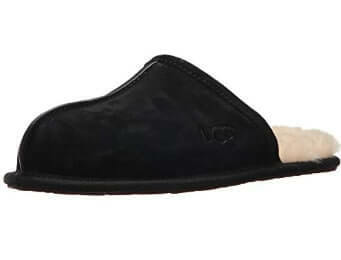 This soft and comfortable pair of slippers will do just that; with a sole made of leather, and lined with wool, these are perfect winter slippers. This one is for those boyfriends who want even a small glimpse into the minds of their significant others. 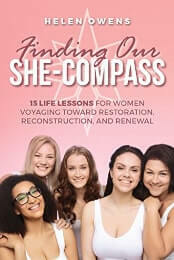 This book contains stories of the author’s experiences and clients that have a striking resemblance to some of the things that all women go through at some point in their lives. This is an essential item for men, and has been for decades. 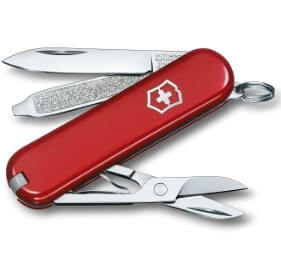 Not only is this a handy item to have on hand at (almost) all times, but a swiss knife also has an aesthetic value that collectors will go crazy over. Here’s a DIY present you can get your man without having to DIY. The black paper box opens up into an explosion of memories that you get to fill in, by pasting pictures and writing sweet messages for your boyfriend. Your boyfriend will never have to look too far to find his tools while fixing something again. 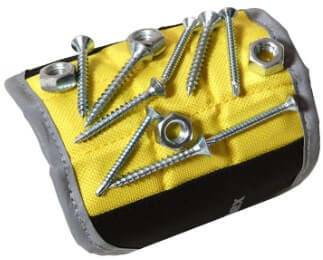 This magnetic wristband holds all the nuts and bolts your boyfriend needs for a job without letting them roll away too far. 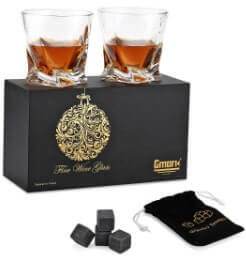 This stylish set of two whiskey glasses is sure to make a nice addition (or beginning) to your boyfriend’s wine glass collection. With a twist at the bottom, these glasses will look great no matter what drink goes into them. There is something so cheesy and yet so satisfying about gifting and having couple items like necklaces. 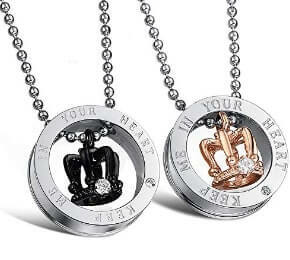 Couple necklaces can be a sweet way of reminding your man that you and he are a pair, and complement each other. Guys need relaxation too, and more often than not, it’s significant others who know this fact best. Give him an opportunity to take some time out for himself and just soak for half an hour in a warm bath. 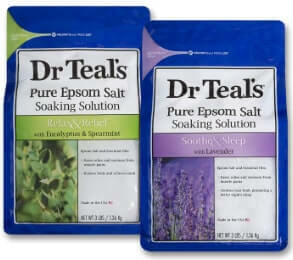 Epsom salts are known for their relaxant properties, after all. These particular boxers will leave a smile on his face when he sees what’s written on them. Custom printed boxers that say “Property of (your name)” on them are a funny yet romantic gift to give him this Valentine’s day. 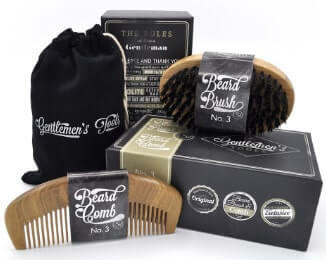 Help him keep his beard happy with this special grooming set. The comb is made entirely of sandalwood, while the brush is made of boar bristles and a bamboo handle. The set comes in a stylish black cardboard box that looks good on display on the dresser. Give him the chance to play his music out loud in the highest quality that the track can allow. 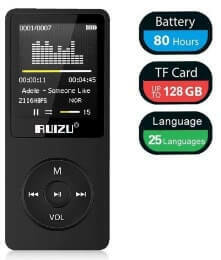 The RUIZU lossless player allows you to play tracks even in .flac format, which causes the least amount of noise loss while playing. 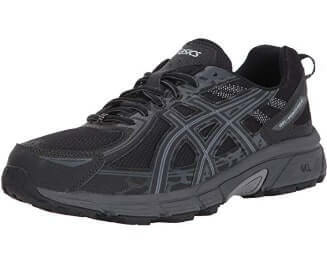 Support your boyfriend’s running habit (or encourage him to start one) with these swanky shoes by Asics. It’s built with a rubber sole, and a gel cushioning system that causes little to no wear and tear on the legs after running. This present would make the audio geek that your boyfriend is extremely happy. 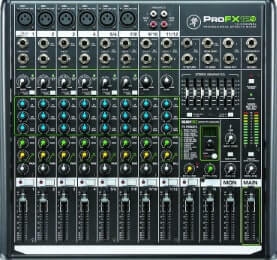 This 12-channel mixer is great for all kinds of people, including music producers and podcasters, and the background noise it gives out is quite low for a product of its price range. This laptop by Acer is the ultimate gaming device you can find on the market. 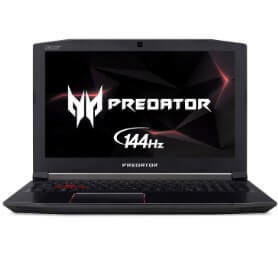 With a widescreen LED display as well as a 6GB RAM that allows you to enjoy the best graphics the game has to offer, this laptop will give your boyfriend an enhanced gaming experience that he’ll thank you for till years later. There are several different boyfriends out there, and hopefully, this list has a gift for each kind. Use this opportunity to gift your man some time along with the gift you choose to give him. That will make him happier than anything else you could buy.